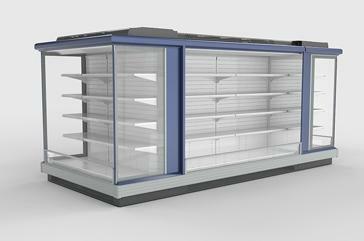 We provide a great solution for small or medium stores to limit energy consumption and reduce complexity in refrigeration equipment installation. 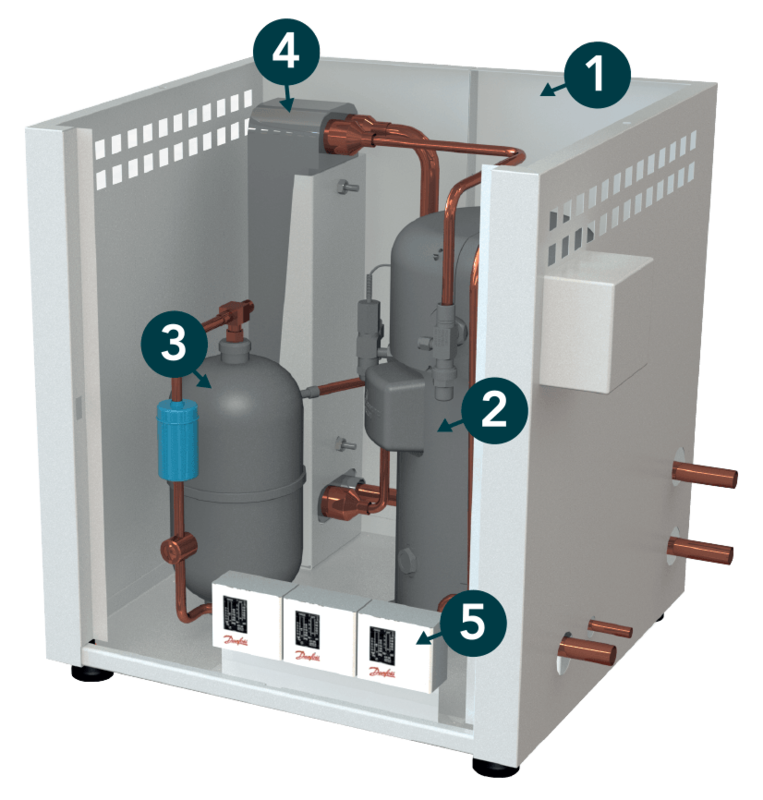 At FREOR we design customised hydro-agreggates for cold rooms which are fitted with compressors and plate heat exchangers. 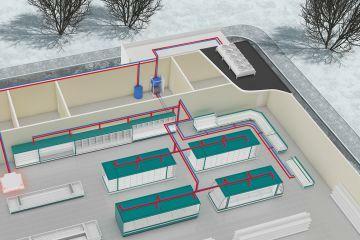 The units are intended to maintain the temperatures of products stored at cold rooms. It is a compact refrigeration system which is connected to the same Hydroloop line as other refrigerated display units. It can be mounted on the top outside of cold room with no additional space required or placed in the technical room. 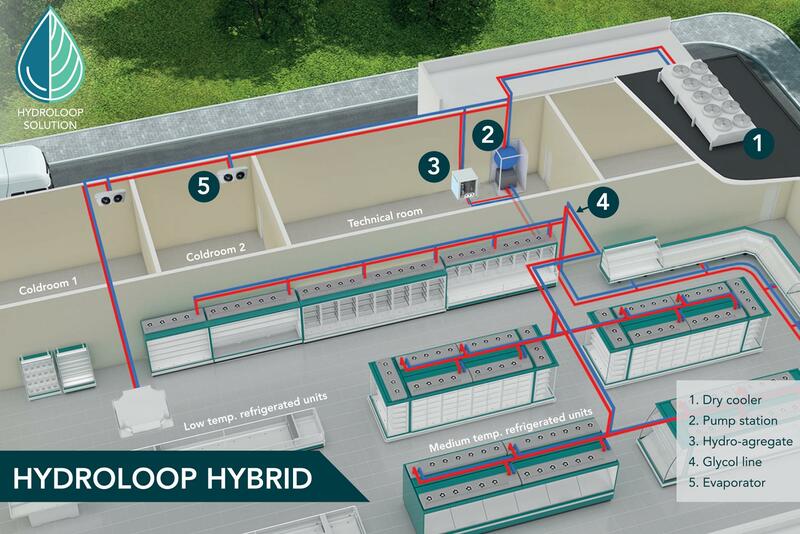 HYDROLOOP HYBRID is a great solution for small or medium stores to limit energy consumption and reduce complexity in refrigeration equipment installation. This solution allows to combine two separate heat removal systems with the ability to switch between modes. 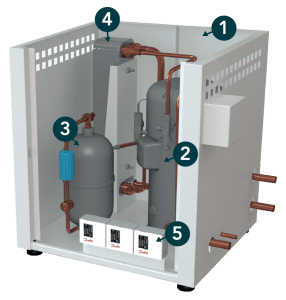 Heat is either directly emitted into the main store area through the air condenser installed on the cabinet or removed outside through the glycol line to avoid concentration of heat inside. 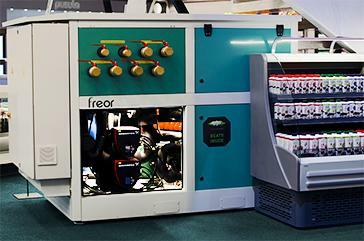 This allows heating the store premises on demand, resulting in energy-saving and reduced costs. 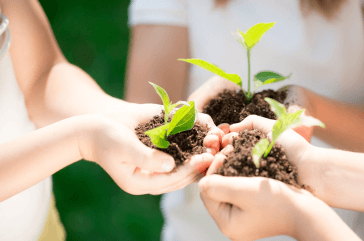 It is a nature-friendly solution, as hermetically sealed circuits eliminate leakages and costs of the refrigerant recharge, also eliminating the need for the annual inspections required according to the F-Gas regulation. Gives total freedom of repositioning and system expansion, allows to change or add a unit without having to close the shop.